Incomplete Payment is triggered when a person submitting to your form didn't send or settle the payment after redirected to the Payment gateway, for example, Paypal Payment Page. Being informed of an incomplete payment is very important so you'd know who declined to pay. And so, we've added the option to Send Incomplete Payment Email. 1. 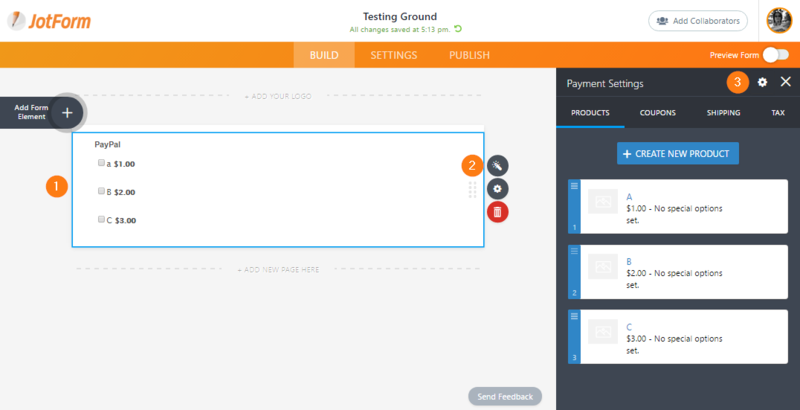 In the Form Builder, click the PayPal payment field. 2. Click the WAND icon to open the payment wizard. 3. Click the GEAR icon at the top-right corner. 4. Expand the ADDITIONAL GATEWAY SETTINGS section, find and select your preferred email option from the PENDING PAYMENT EMAIL. Notifiers & Autoresponders - Both Email Notifications and Autoresponders will be sent. 5. Don't forget to click the CONTINUE button at the bottom to save your changes. IMPORTANT: These email alerts are not instant. It should take somewhere between 30 minutes to 1 hour to be emailed, the delay is here to let customers finish their transactions and also it is a time buffer for the PayPal IPN to come through. Got questions? Please send your comments below! Is this available only through a Paypal gateway or can I set something up for Stripe or Square? Paid subscriptions allows regular notifications to go to several different email addresses. How may I get PENDING PAYMENT EMAIL Notifiers get sent to two different email addresses? Thanks a lot for adding this feature! If a payment was not complete before an email was set up to send us there a way to go back to old submissions? I have the "Pending payment email" in the PayPal options set to "Notifiers & autoresponders" which, per my understanding, SHOULD send the pending payment email to the addresses set up as notification recipients AND to the person who filled out the form, correct? In the testing I am doing right now, that is not happening for me—the notifiers came through but nothing has come through at the submitter's email address (i.e. the autoresponder doesn't seem to be working for the "Pending payment email.") I have checked the spam folder at the email address I used to submit the form and there is no pending payment message there either. Additionally, at the email addresses receiving the notification, the email client (Gmail) gives the warning, "This email claims to come from [domain—omitted here for public posting] but replies will go to an email address at another domain. Be careful with this message." What do I need to do to get the "Pending payment email" to go to the person who submitted the form as well? So understand Email Notifications and Autoresponders can be sent advising seller of imcomplete payments. form https://form.jotformpro.com/Holidea/Batz-insole is not shown the option to set up pending ayment email. Have an alternative way? incomplete autoresponders are not being sent. I've followed the instructions on this page but when there are incomplete payment the auto responder is not sent. I don't see a place to choose the right auto responder. when I follow these instructions my form does not show the option to change pending payment e-mail. it simply does not exist. i tried that, maybe i didnt wait long enough. will try again and wait a couple of hours.